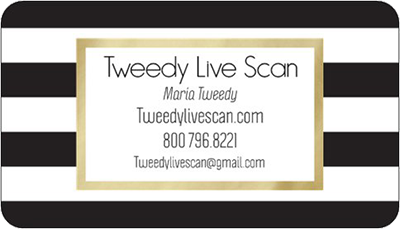 Tweedy Live Scan is proud to provide mobile live scan fingerprinting services to Pasadena and the surrounding communities. Eliminating the need to travel to a fingerprinting location, we provide same day mobile appointments, 24 hours a day, seven days a week. Our mobile live scan specialist in Pasadena uses a state-of-the-art system to scan your fingerprint, and securely transmit the scan to the Department of Justice for processing. We guide you through the live scan fingerprinting process to ensure a quick and efficient process. Just a short drive away from our home office located in Los Angeles, California, Tweedy Mobile Live Scan services will travel to Pasadena for criminal background check purposes. Our Mobile Live Scan service is a great solution and the Pasadena live scan process takes as little as 10-15 minutes to complete. Call us today to schedule a consultation!